I enjoyed your current posts on Zecco and moving from ShareBuilder to Zecco. I currently have a portfolio with ShareBuilder but I’d like to move onto Zecco – would you mind posting more on how you initiated your transfer, what happened to your partial shares, and fees? The actual transfer process is quite easy (how long it will take to complete and whether the process can go smoothly are separate issues). If you determined to make the shift, then all you need to do is download an account transfer form from Zecco website (PDF file), fill it out, and send it over. There are three sections on the form that you need to fill out. The first part is your account information (click the following image to enlarge). I was a little confused about the “Title of Your Account” when I got the form, so I called Zecco and was told that the title of your account is actually the type of your account: individual account, joint account, or IRA account, like that. However, the form doesn’t ask the name(s) of the account holder(s). To be safe, I put Joint Account and our names anyway. The second section of form concerns how you want your account at ShareBuilder transferred. Here, you will have to choices: In Kind Transfer, which means you will transfer whatever you have at ShareBuilder as they are; Liquidate, meaning your positions at ShareBuilder will be liquidated first and the proceeds will be transferred to Zecco. For me, I chose In Kind Transfer, so I got to keep all the shares I have. If you choose Liquidate and it’s a regular account (as oppose to IRA account) , you will be responsible for taxes for any gains realized from this transaction. I authorize you to liquidate any non-transferable proprietary money market fund assets that are part of my account and transfer the resulting credit balance to PFSI. This refers to any uninvested cash in your ShareBuilder account, which is held in the money market account as shown in the following image. My understanding is this part will be liquidated and transferred as cash to your Zecco account. The last part of the form is where you sign and date the form. It also has a section for Medallion Signature Guarantee, but I was told that the signature guarantee is not necessary. Considering that it will quite some time (20 business days) for the transfer to be completed, it’s better to fax them your form first. Though Zecco doesn’t support fractional share purchases, there shouldn’t be a problem if you make in kind transfer from ShareBuilder, which allows you to buy fractional shares. My reason is since Zecco supports dividend reinvestment, they will purchase fractional shares for you with your dividend distribution anyway. Can I transfer stocks to Zecco Trading in kind? Yes, in order to transfer your positions in kind, without having to liquidate, you will need to fill out the ACAT (Account Transfer) form. Please keep in mind that only full shares of equities can be transferred. As only whole shares can be transferred, any partial shares that you have will be sold and the proceeds will be transferred with the money market cash balance. There is a fee of $50 for a full account transfer to another brokerage. This includes the transfer of all whole shares of securities held in your ShareBuilder Account, the liquidation of any partial shares (as needed), and the transfer of the money market cash balance. Thus, ShareBuilder will liquidate the partial shares you have and the transfer the proceeds as cash. Since ShareBuilder charges $15.50 per real-time trade, my following comment on selling shares instead of transferring them for small accounts makes more sense. As you can imagine, since Zecco wants your business, they are not going to charge you for transferring an account to Zecco and that’s indeed the case, though there’s a $50 fee listed in their fee schedule for account transfer. I assume that’s for account transfer out. Then, since ShareBuilder is not happy for you leaving them, they will charge you $50 for your departure. If you have a small account at ShareBuilder and only make a small profit (or a small lose), I feel that it’s better to just sell all your shares and close the account than transferring it out. From ShareBuilder’s website, it doesn’t seem ShareBuilder charges fee for closing the account. In this case, paying $50 account transfer out fee isn’t worth it. These are the issues I can think of regarding account transfer. Since the transfer is still in progress, I don’t know if there will be any other problems and exactly when the transfer will be completed. I will post any development when it occurs. If you are interested in getting a Zecco brokerage account, either opening one directly or through account transfer, check out my Zecco review first for more details about the discount broker. See discount broker comparison for how Zecco compares against other discount brokers. Interesting. I contact Zecco’s customer care to inquire about free dividend reinvestment of fractional shares and they replied back saying that it was not offered at this time. I have a question about ShareBuilder. I had an account with them a while back, and Sharebuilder charged $15 per stock sell. I had a couple hundred bucks in that account, so it made more sense for me to transfer the funds, rather than pay $15 per stock to close my position. Have their sell trade fees changed since then? Zecco review, ShareBuidler is $15.95 to sell a stock. 1. You will be left with the fractional shares in your account and will not be able to get the cash out without selling. 2. ShareBuilder will automatically liquidate the fractional shares and bill you $15.95 for each different stock sold. 3. The transfer will be denied since the fractional shares can not be transfered. Jim: I am not aware that Zecco only makes whole share dividend reinvestment. From their website, it says they offer free dividend reinvestment, so I assume when dividend is distributed, they will automatically reinvest whatever it’s worth, whole share and/or partial share. I have never seen anything like this before. Looks like I will have to call them again to clarify the issue. Zecco Review: But if you transfer the account, it will cost you $50. To me, paying $15 fee to sell your shares is a better option than transferring them and paying $50 transfer fee. aschmuck: Thanks for the information. I wasn’t able to find information about partial share transfer from Zecco, though when I searched their forum/blog, I did find a post about this matter and got some information on Sharebuilder website. Could you please show the link on Zecco website about ” Zecco states it can only transfer whole shares”? aschmuck: Thanks for pointing me to the information. I don’t know how I missed it. So far I haven’t heard anything about my transfer yet, but it looks like the partial shares will be liquidated as that’s what ShareBuilder does when an account is transferred out. If that’s the case, then this transfer is too costly as I will have to pay $15.50 fee to sell the partial shares. I should have just sold all my shares and closed the account instead of transferring it out. Thanks for the post Sun! I was curious about the partial share transfer issue. So it will cost $15 to liquidate partial shares?! I’m new to investing so my ShareBuilder account is small, so this would eat into my profits quite a bit. This may be a stupid question, but is there a way that I can only transfer whole shares (and retaining my partial shares in my ShareBuilder account)? Finally, how is ShareBuilder going to compete with Zecco in the long run and how does Zecco say in business? Drew: Since ShareBuilder charges $15.50 for real-time transaction, I suspect they will charge less simply because I want to sell partial shares. But I won’t know until it’s done and see how much the who process really cost me. In addition to the $15.50 fee for selling your shares, transferring account out of ShareBuilder will cost you another $50. If you have a small account, then perhaps selling all your shares and closing the account at ShareBuilder and starting all over again at Zecco is the best way. Of course, it depends on how much you have made with ShareBuilder from your investment. It looks like from ShareBuilder’s website that they don’t charge fees for closing the account. I don’t know if you transfer only the whole shares, but ShareBuilder says on their website you will pay $10 per security transferred out. Though Zecco doesn’t change commissions, they are still a small player and not everybody feels comfortable with them. I myself am a little skeptical on how long they can maintain the fee-free structure and their customer service really isn’t great. I guess there are still many waiting. 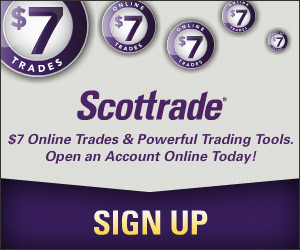 Also many have been with their current broker for a long time (I have been using Scottrade for six years), and they probably don’t want to abandon it (I still keep my Scottrade account and most of my investments). Also, it will take approx. 30 days for transfer according to a Sharebuilder associate. Putting your money with Zecco is a mistake. No more free trades, they have the worst accounting methods (I am complaining to FINRA because I think they stole money from me), and their customer service reps don’t know SEC rules and are rude. The management is not knowledgeable either. What to Do with Plagiarism?